As some of you know, apart from Game Accessibility Day last week in Boston, I was also busy … getting married. 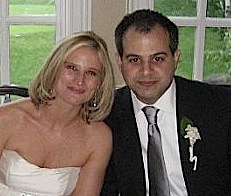 On Saturday, May 29, I wed Gregory Papajohn in Old Greenwich, Conn. It was a perfectly lovely evening, and it was great to see my family and friends. A highlight of the evening was dancing with my father to “How Sweet It Is (To Be Loved By You)” by James Taylor. You can read the New York Times announcement here. 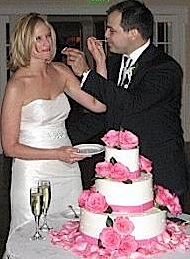 I’ll be taking a much-needed hiatus for my honeymoon to Napa, Calif., and will be back in action on June 14. Check out my personal Facebook page for wedding and honeymoon photos! And of course, if you haven’t already, please join the abledbody Facebook page for the latest posts and updates. See you all in two weeks! It was a very special day, and I am glad to have been part of it. Wishing all the best to you all. I will surely see you when you and Gregory return. Congratulations and may you have many, many happy years together! I’ve to confess, I’ve been an enormous Undertaking Natal/Kinect sceptic ever because it was announced with that sham Milo walkthrough and an terrible lot of hyperbole. I have been trying to keep an open mind but the varied rumours which have circulated about house, lighting and multiplayer issues have been a trigger for concern. The marketing determination that Microsoft took to put this within the fingers of mainstream journalists and celebrities moderately than anyone who actually has experience and expertise writing about gaming was extraordinarily worrying.